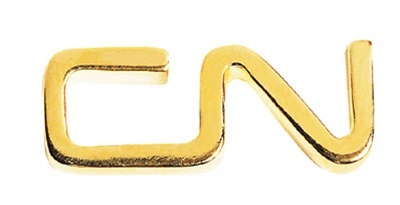 Gold tone plated CN logo lapel pin. Butterfly clutch attachment. .75" wide. Polybagged.